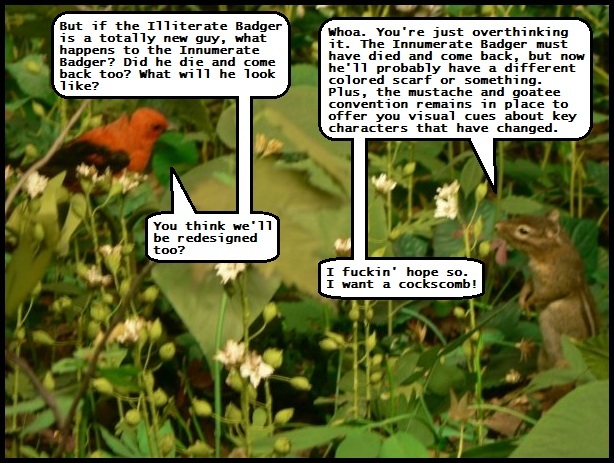 The Illiterate Badger | New comics Monday, Wednesday & Friday: Commentary of the Forest 25: Companion Text. Commentary of the Forest 25: Companion Text. They won't be, of course, because we could never improve on them. Besides, they could be fighting.